Are you sinking further into credit card debt and trying to keep your head above water? High-interest credit cards and personal loans can make getting ahead of your debt situation seem almost impossible. A balance transfer could be the lifeline that you need to improve your finances. But transferring a balance can also turn that lifeline into an anchor that could get you into more trouble. Before you think about doing a credit card balance transfer, here is what you need to know. Credit card companies are always looking for ways to entice customers to sign up for new cards. One of these ways is to give new customers a low promotional interest rate for 12 or more months and allow them to move the balance from an old card to the new card. You are in essence paying off one credit card with another and getting a lower interest rate in the process. Transferring a balance from a higher-interest credit card to a lower-interest or zero percent interest credit card can be a great way to save money on interest, giving you time to pay off your debt faster. By transferring your debt to a lower-interest card, you are now putting more of your payments towards your principal rather than paying interest fees. Lets say your current card has a 15% interest rate and you owe $10,000. If you carried that balance for a year, you would pay $1,500 in interest alone. If you transferred the balance to a new card with 0% interest rate for a year, you could put that $1,500 towards paying off your debt faster. The interest rate on transferred balance. Look for cards with 0% intro rates for the most savings. The balance transfer fee. Balance transfers are not always free. Before you jump in and transfer everything over to your shiny new credit card, you need to read the terms. Many issuers will charge you a flat fee or a balance transfer fee that is between 3% and 5% of the amount transferred, whichever is higher. That means if your balance is $10,000, the 3% transfer fee will add $300 to the balance on the new card after the transfer is complete. There are also cards with no balance transfer fees available. These could be worth it if you have a larger amount to transfer. The length of the promotional period. Credit cards with a longer promo period will give you more time to pay off the balance before the rates reset. It is common to find issuers offering cards with promo periods from 12 months to as high as 21 months. The variable interest rate afterwards. Everyone’s goal for a balance transfer should be to pay off their balance during the promotional period. But life happens and if you can’t, you should know what your interest rate will be. The annual fee. Compare the offerings with those from other issuers. Credit cards with no annual fees are preferable. 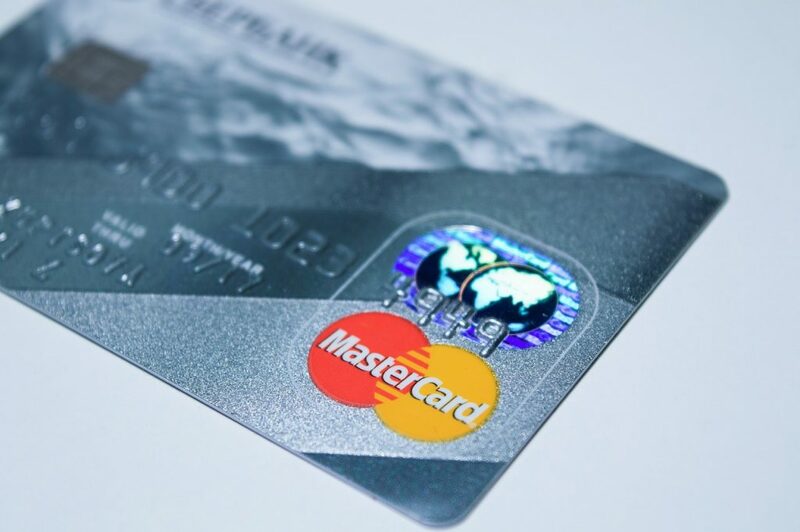 Usually credit card balances are the most popular types of debt to transfer from one card to the other due to the high APRs (as much as 15%, 20%, or even 29%) that are levied. Depending on the credit card company, you might also be able to transfer personal loans, student loans, auto loans, home equity loans, or monthly installment payments from appliance and furniture stores. Credit card issuers will not allow you to transfer debts from another one of their products. For example, you cannot transfer balances between two Capital One cards. They are in the business of making money and allowing you to pay zero interest by transferring the balance from another one of their cards would be a dumb move on their part. Do you have so many credit cards or loans with monthly payments that it is getting hard to keep track of all the due dates? By consolidating your debts onto one card, you will have just one bill you need to remember to pay at the end of the month. This reduces the chance of you missing a payment and being hit with a $39 late fee. However, be smart about what debts you transfer over to your new credit card. You don’t want to transfer over a car loan with a low 3.9% interest rate, then not be able to pay off the balance during the promotional period and get stuck with paying the credit card’s higher interest rate. You will get the most out of a balance transfer by transferring high interest loans, which are usually store and personal credit cards, title loans, payday loans, subprime auto loans, or paying off that item from the rent-to-own store that you got during a moment of bad judgment. If you are not committed to getting out of debt, a balance transfer may make your financial situation even worse. The promotional period only provides short-term relief from interest charges. When it ends your interest rate for your transferred balances will jump up to a higher rate that is determined by your credit score. In addition, depending on the card, should you use your credit card to make any purchases, those new purchases might be charged the regular variable interest rate. Carrying a balance on new purchases when you should be paying the card off only leads to you getting deeper into debt. Then there is the problem of missing a payment on your balance transfer. Most issuers have a clause that says if you pay your bill late, you will lose the 0% introductory interest rate and the regular purchase rate will apply to the remaining balance. There are several things you’d want to think about before you get another credit card, even if it is one that offers 0% interest. 1. How is your credit score? Go to Credit Karma, CreditWise from Capital One, or check your online accounts at Citicards, American Express, or your online bank to see if they offer a free report of your credit score. The better your score, the more likely you will be approved for a new credit card with a decent limit that can be used for your balance transfers. A high score will also get you a lower annual percentage rate on your new card, which will save you money in the long run in the off chance you don’t pay off your balance transfer in time. Use our below calculator to see what your potential savings will be if were to sign up for a balance transfer. Remember that balance transfer fee? If it is anything more than 0%, that is an upfront cost you will have to pay no matter if you pay off the balance transfer after a month or 12 months. Someone who transfers over a balance and then pays it off after a couple months might actually be better off leaving the balance on the old card. Credit card companies use internal formulas to decide your credit limit and sometimes that limit is not high enough to transfer your entire balance. The balance transfer will still go through, but it will only pay off part of your old card. If this happens, you will want to make minimum payments on your new card while directing all your extra available funds to the higher interest debt. Sometimes you can make the balance transfer after getting your new card. If the limit isn’t high enough to transfer all your balances, transfer the ones with the highest interest first. Some cards may require you to list the balances you want to transfer on your application. Others give you a certain number of days or months to complete the transfer after your account is approved. The latter is usually better since you will know your available credit limit, but you wouldn’t want to procrastinate too long. Unless you find a card that offers 0% interest for new purchases too, there is a possibility you might be charged interest on purchases made on the new card that you used for a balance transfer. That is why you need to read the fine print on the credit card agreement carefully. For example, with Wells Fargo, their terms states that “your minimum payment will be applied first to lower APR balances before higher ones. Payments in excess of the minimum payment will generally be applied to balances with higher APRs first” and “if you transfer amounts owed to another creditor and maintain a balance on this credit card account, you will not qualify for future grace periods on new purchases as long as a balance remains on this account“. To avoid any confusion, your best bet might be to not use the card for any new purchases until you’ve paid off the balance transfer. In Wells Fargo’s case, it reads like you may not want to use your old card either if you transfer away part of the balance to another credit card since they state that you may not get any grace periods for future purchases. Use this calculator to see what you could possibly save if you transferred your balances to a new card with an introductory promotional offer. It appears this balance transfer won’t save you any money. Keep your debt where it is and continue paying it off. For those who are looking to get out of debt faster, a balance transfer can be a big help and save you some money on interest in the process. As long as you don’t get tempted by the newly available balance on your old card as a reason to start buying more things and getting yourself even deeper into debt, a balance transfer could be worth it. If you are thinking of doing a transfer, read the terms; do the math; create a plan to pay off your balances and stick with it. Have you done a balance transfer before to speed up getting out of debt? Do you have any tips or advice on which balance transfer cards are better?